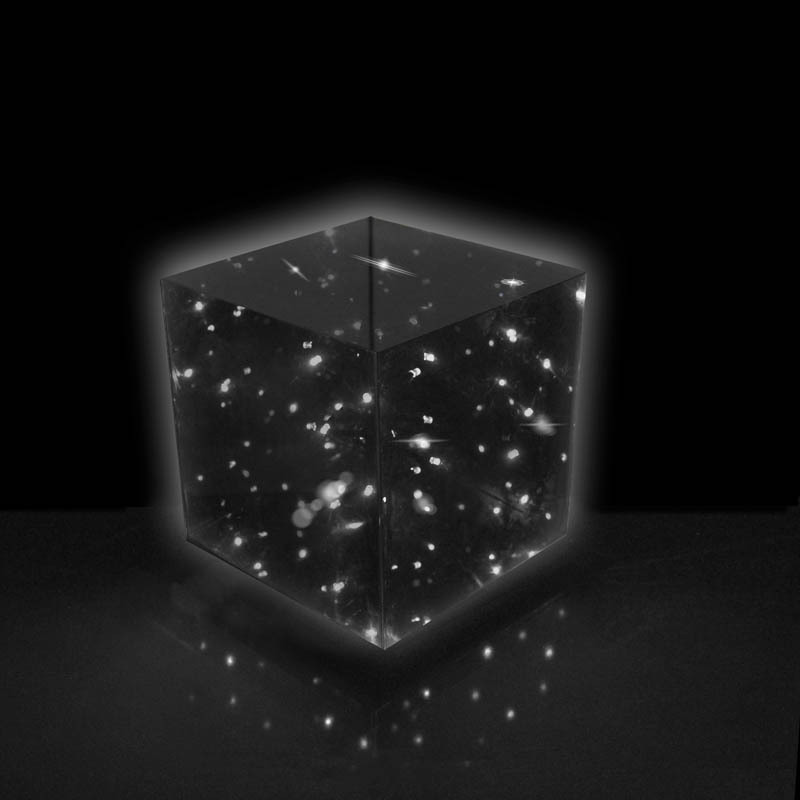 A moodlight with a difference, the Infinity Cube is a mini galaxy of spectacular proportions. Adding light, mystery, and more than a little wonder to any room, this is a far reaching light with mesmeric properties that creates a truly captivating celestial illusion. Using LED lights and cleverly placed mirrors, the light manages to create an entire galaxy within a cube, providing a wonderful moodlight for any bedroom or living room. There are four different lighting styles to choose from, including: a night sky with all LEDs on; all LEDs phasing randomly to give a galaxy effect; LEDs phasing in groups to create a mystifying moving galaxy; and even a music reactive mode creating a truly magnificent exploding galaxy effect in time to your music. Each mode is selected by pressing down on the cube itself, so all you need to do is sit back, relax and enjoy the possibilities of your own infinite universe. 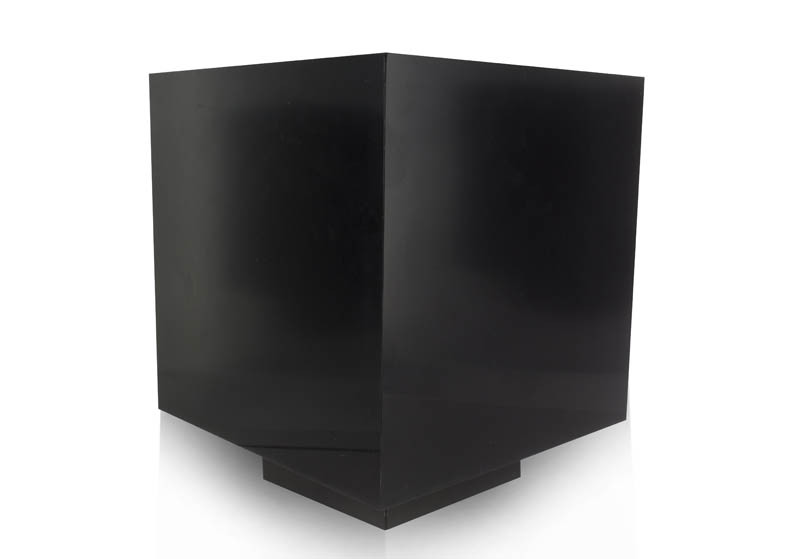 The Infinity Cube is 19cm tall by 16cm wide (approx 7.5in x 6.3in), and stands on a discreet solid black base. The light is dual powered, either by USB (a micro USB cable is included) or 3 x AA batteries (batteries not included). The Infinity Cube is part of the T3K range from Paladone. 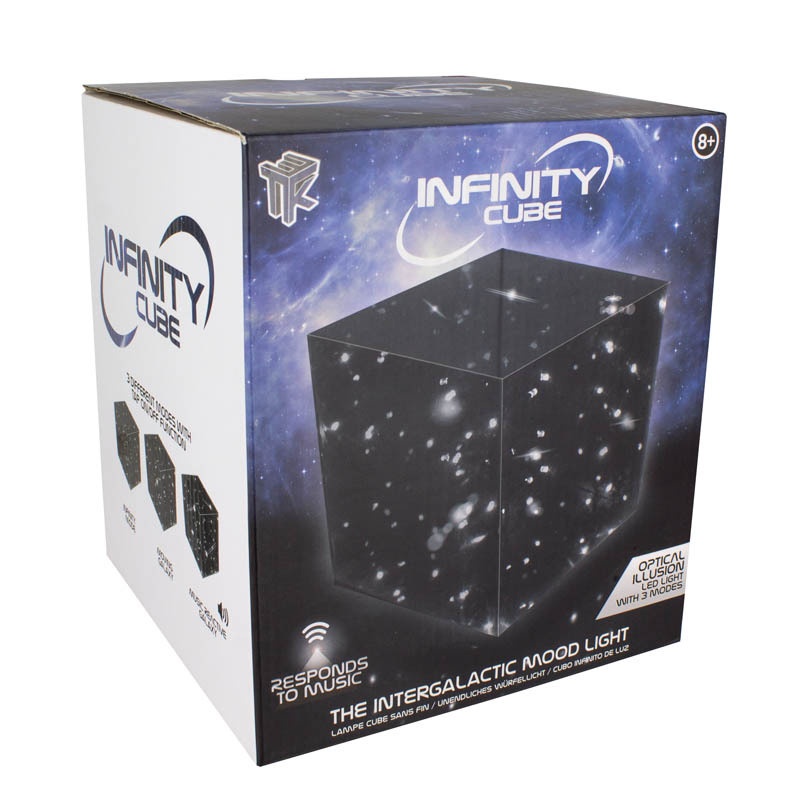 T3K is a gift range creating designed and delivered fun gift ideas that transform desktop and lifestyle products into functional tools, gadgets and accessories for everyday use.A moodlight with a difference, the Infinity Cube is a mini galaxy of spectacular proportions. Adding light, mystery, and more than a little wonder to any room, this is a far reaching light with mesmeric properties that creates a truly captivating celestial illusion.